Natural light floods the both image and the heart with the golden glow of this beautiful bride in a portrait amongst the trees. 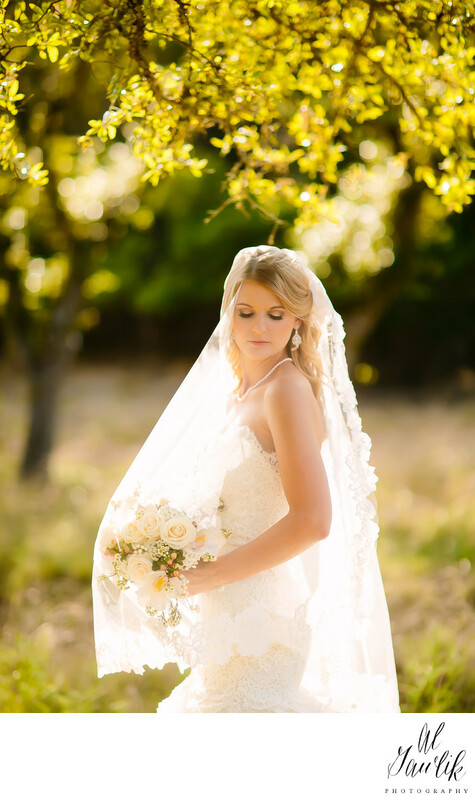 The sun is diffused through the veil and the soft light wraps around the bride and the flowers like a blanket of love from the heavens. Our photographer is in the right place at the right time and captures a moment in time that is truly timeless.